Photograph of 2-8-0 Steam locomotive No 97 on the Essex Valley Railroad, Connecticut, USA. 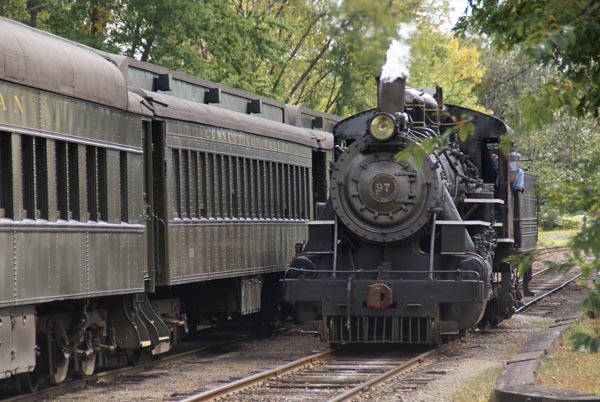 The Valley Railroad Company offers trips along the valley of the Connecticut river, many in combination with a boat tour on the river. VIEW: More images from the category Essex Valley Railroad, Connecticut, USA or taken at the same location or around the same time .